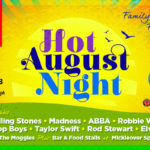 After the AMAZING success of last year, we are bringing back Hot August Night for it’s 3rd year! 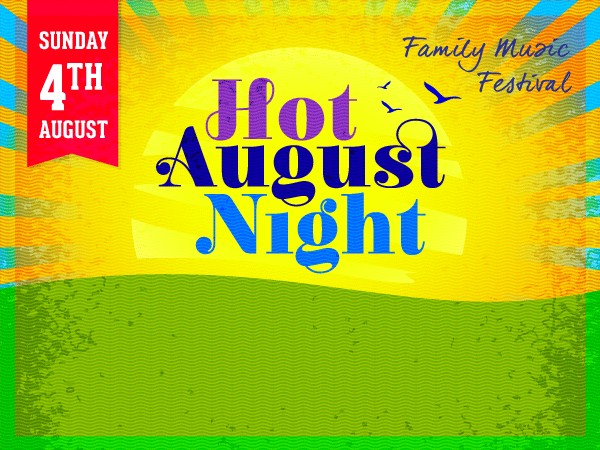 Each year we have got bigger and better and this year is no different… the perfect festival for a family day out on a beautiful Summer August Night! Plus 60’s Rock from The Moggies! We also have some Gourmet Bar and Food Stalls on the day! Limited alcohol is permitted, plastic cups and containers only please! 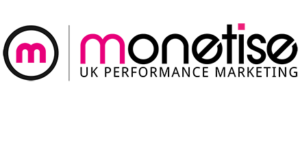 We are proud to have HUUB and Derby Telegraph as our official festival sponsors! Come down and honour the career of English Cricketer Graham Wagg. The night will feature Q&A with Graham Wagg and other cricketing guests. Plus enjoy some pie and chips with a raffle thrown in for good measure! 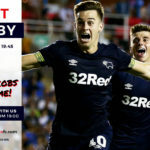 FOREST V DERBY LIVE AT SPORTS! Get down to Mickleover Sports Club on Monday 25 February to cheer on the Rams in the Derby! FREE CHIP COBS AT HALF TIME!!!!!! 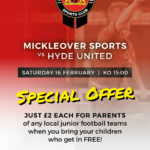 Mickleover Sports are in need of as much local support as possible this coming weekend as they take on 10th placed Hyde United. 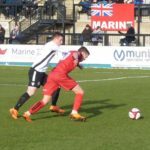 With a three week period without a game followed by a disappointing 3-0 defeat away to Marine, Sports are really in need of a win to regain the confidence and form that was on show at the start of the year. Teams around Sports including Workington, Grantham Town, Lancaster City and Marine have been picking up good results so Sports now need to start doing the same and really need the support of our home crowd. With this in mind we are offering all kids of junior clubs in the local area FREE admission and their parents only paying £2 each! Hyde United were last in action last weekend as they were defeated 2-1 at home by Derbyshire Rivals Matlock Town. 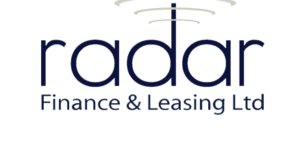 A Nicholas Pratt goal either side of goals from Luke Hinsley and Craig Westcarr for the Gladiators saw Hyde on the wrong end of the scoreline. Sports last game was of course the 3-0 away defeat to Marine in Liverpool last weekend. Nathan Jarman will serve the final game of his suspension this weekend. We believe Ricky Ravenhill will return from his suspension this weekend. Pablo Mills was out with a shoulder injury last weekend and it is unclear if he will have recovered in time. Boss John McGrath and Czech striker Tomas Junek also both had to come off last weekend with knocks but both should be ok for the weekend. Everyone else is presumed fit and available for selection. The game is a 3pm Kick Off at the Don Amott Arena on Station Road, Mickleover, DE3 9FB with Admission Prices set at £10 Adults and £7 Concessions. Don’t forget that all kids of local junior teams are FREE with parents only paying £2 for entry each! Derby County & Burton Albion Season Ticket Holders not going away with their teams are being encouraged to come along to support their local non league side with reduced admission of £7 on production of their club’s season ticket at the turnstile. The bar and snack van will be open as usual serving hot and cold drinks and food before during and after the match. Your new look Sports Report Match day Programme will also be on sale at the turnstile for only £2! This features the thoughts of Chairman Don Amott and Manager John McGrath plus all your usual content. 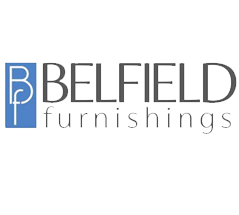 Sports v Hyde United: SPECIAL OFFER! CALLING ALL PARENTS OF LOCAL JUNOR FOOTBALL TEAMS! Take advantage of our amazing offer and get entry to Saturday’s game v Hyde United for just £2 each when you bring your children. PLUS your children get in FREE! 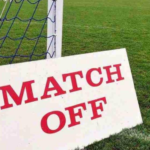 Unfortunately, today’s game against South Shields has been called off due to the frozen pitch. 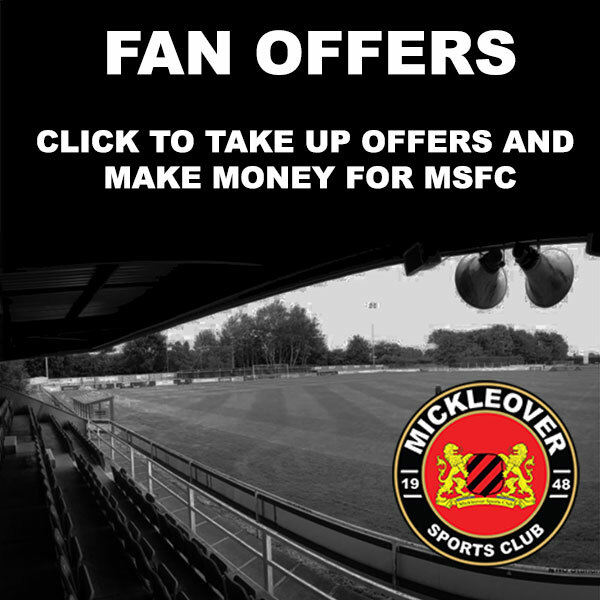 Mickleover Sports are in need of as much local support as possible this coming weekend as they take on the league leaders South Shields. The Mariners from the North East are cruising at the moment having won their last six league games and are expected to bring a few hundred traveling supporters with them. After last weekends washouts at Workington and results going against them Sports find themselves third bottom inside the relegation zone, and will be desperate to climb out as quickly as possible. However it will be a difficult task this weekend against a club with ambition to reach The Football League. With this in mind we are offering all kids of junior clubs in the local area FREE admission and their parents only paying £2 each! 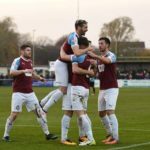 Last weekend South Shields cruised to victory thrashing Whitby Town 5-2, to continue their 100% home record this season. This was played in front of a whopping crowd of 1830 spectators. Sports last game was the 1-0 defeat at home to Gainsborough Trinity two weeks ago. Nathan Jarman will serve the final game of his suspension. There were a number of players unavailable for last weekend which included Ben Turner, Shaquille McDonald, Evan Garnett and Kyle Carey. We expect to have some if not all of these players back in the squad for Saturday. The game is a 3pm Kick Off at the Don Amott Arena on Station Road, Mickleover, DE3 9FB with Admission Prices set at £10 Adults and £7 Concessions. Don’t forget that all kids of local junior teams are FREE with parents only paying £2 for entry each! 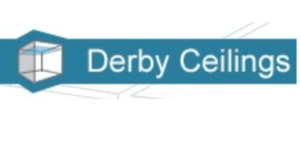 Derby County Season Ticket Holders are being encouraged to come along to support their local non league side with reduced admission of £7 on production of their club’s season ticket at the turnstile. The bar and snack van will be open as usual serving hot and cold drinks and food before during and after the match. Your new look Sports Report Match day Programme will also be on sale at the turnstile for only £2! This features the thoughts of Chairman Don Amott and Manager John McGrath plus all your usual content. Mickleover Sports are hosting a Supporters Night at The Don Amott Arena, tonight from 7.30pm! The night will be an opportunity for Sports fans and supporters a like to put questions to people at the club about an array of subjects. 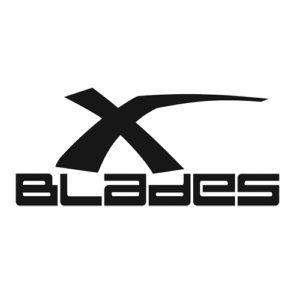 Hosted by Media Officers Sam & Kerry Goldsworthy, the night will see Club Chairman and Player/Manager John McGrath give updates on the club on and off the pitch including the new 4G pitch going down this year and lots more . Supporters will then get the chance to put their questions to John and Don and any of the coaching staff and/or players that are able to attend. The evening is free so just show up at the door and you’ll be welcomed in. The bar will be open and refreshments will be available. Come down, enjoy a drink and put your questions to our team! 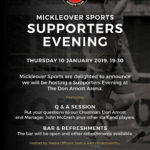 Mickleover Sports are delighted to announce we will be hosting an Supporters Night at The Don Amott Arena. Taking place on Thursday 10th January from 7:30pm, the night will be an opportunity for Sports fans and supporters a like to put questions to people at the club about an array of subjects. 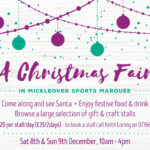 That wonderful time of the year is back and we at Mickleover Sports are putting on a fabulous Christmas Fair in our luxury marquee. Come along and see Santa, enjoy festive food & drink and browse a large selection of gift & craft stalls. Admission: £2 adults, children go FREE!